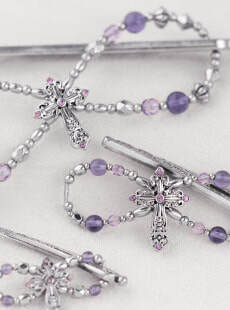 As an Independent Stylist for Lilla Rose, I offer these beautiful, unique hair accessories - but more than that, I will help you determine the size and style you need for your special look, and will be available to assist you with any question and with hair styling ideas through video tutorials, articles on this blog, and more. You can find the many Lilla Rose styles on my website, www.lillarose.biz/kristibothur. If you do not have a Lilla Rose Stylist already and are on Facebook, join my "Customers and Friends" group for fun conversations and more hair ideas!